Did you know that regular stretching is just as important as regular exercise? If you’re like me, you probably neglect this aspect of your fitness regime (GUILTY haha) even though stretching has major benefits. And obviously, if you are working out a lot, stretching can do your body wonders. After exercising, your muscles may feel tight. 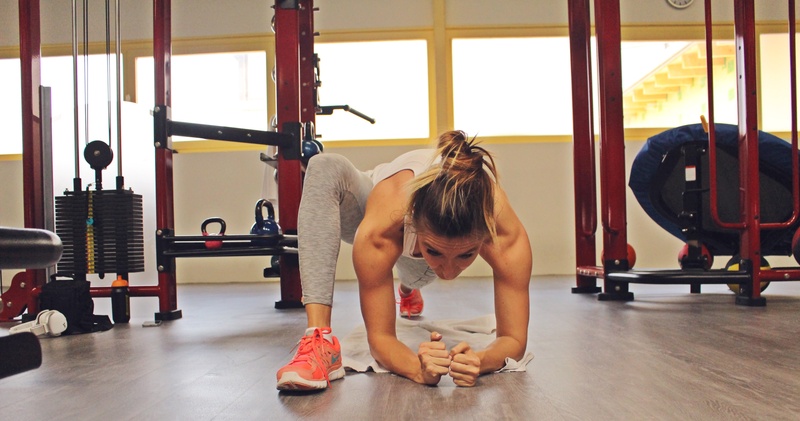 During weight training, your muscle length shortens. This can leave you feeling tight and sore….directly after your workout, you should stretch the muscles that you just trained to feel less tense. I have to admit that I’m not a “stretching fan”…working out is more fun haha. Since I started working out frequently,I lost a lot of my flexibility….that’s why I’m trying to get it back. I’m doing my flexibility workout once a week for 20-30 minutes. Then take your right ellbow and bring it closer to your right ankle. If you CAN..place your forearms on the ground…if NOT,it’s perfectly okay to stay up on your arms,as well. Bring your fingers as far away from your body as you can. Put your right knee behind your right wrist…your left hip should be in-line. Hell no! 3 si 5 sunt extreme. Sigur mi s-ar disloca toate cele. De fapt, nici nu pot. Efectiv nu pot. Si cand mergeam la Yoga sau Pilates eram tot pe langa.